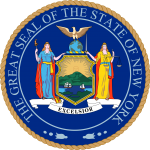 The New York last will and testament is a legal document that individuals (testators) use to provide a written record, stating how they would like to have their estate distributed once the testator is deceased. The estate may include financial accounts, real property and/or personal property. 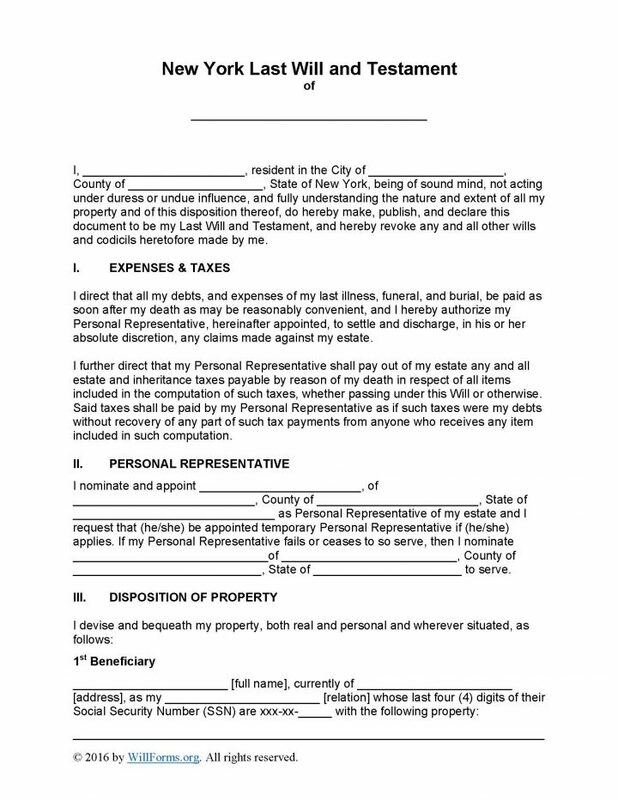 This form will also accommodate appointment of an executor. This document must be completed by the Testator while they are of sound mind. The form may be changed or revoked at the testator’s discretion. Laws – Estates, Powers & Trusts §§3-1.1, et seq.